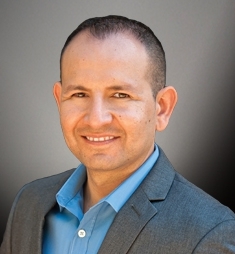 Norbero Uriarte is an Agent Liaison at JohnHart Real Estate, and is responsible for being the liaison through which selling agents are updated. In doing such, he is at the front lines of our organization and is responsible for establishment/maintenance of the relationships we have with other agents. While attending the university, Norberto worked at a Burbank Airport as a Valet parking supervisor where he was the first on line to attend customers requested by providing great customer service and manage a large group of employees in order to get the satisfaction of clients. Prior to coming to JohnHart, Norberto worked for a group of realtors as an assistant, marketing coordinator and buyer’s agent where much of the experience in negotiating terms on sales, skills to be able to manage a large pipeline of sales and creating marketing material was learned. Norberto also gained experience on processing loans while working with them.